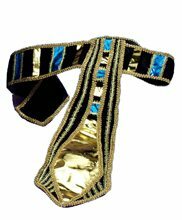 Snake ASP Arm Band is Golden in color.It is Flexible to wear.It is comfortable and bends to any shape. 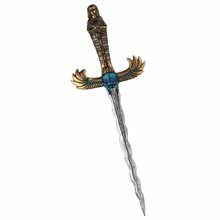 Egyptian Cobra Necklace,Cobra necklace is ideal for Halloween. Costume jewelry. 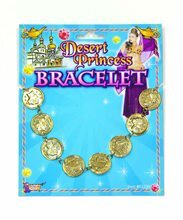 Egyptian Bracelet.Includes: One Egyptian Bracelet.Available Size: One Size Fits Most Adults and Teens. *Costume and Accessories Not Included. Sold Separately. Brillaint Accessory Ideal For Halloween 2009. The perfect accessory to complete your costume. 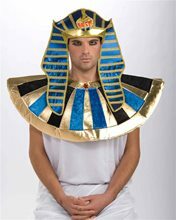 Be the best dressed at halloween or fancy dress parties. Ideal for halloween and fancy dress parties. One Size Fits Most. 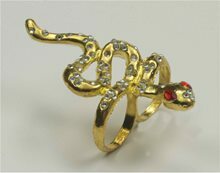 Two Finger Snake Ring.Includes: One Two Finger Snake Ring. Available Size: One Size Fits Most Adults and Teens. *Costume and Accessories Not Included. Sold Separately. Rise up as ruler of ancient Egypt by bearing the Egyptian riches such as our Two Finger Snake Ring. This unusual ring can be worn on any 2 fingers. The band wraps around and has 2 separate finger openings. Our Double Finger Egyptian Ring features a windy gold snake covered in sparkling rhinestones with red faux gem eyes for a lavish look of royalty. 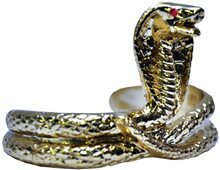 The Asp Snake Ring is a costume jewelry piece worthy of your Egyptian queen or pharaoh costume.